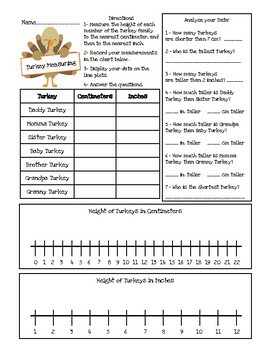 Use your inch and centimeter rulers to measure this cute turkey family! Students must measure and record measurements in a chart. Then they will graph their data on a line plot. Last, students will analyze their data by answering questions. This is great practice at Thanksgiving, or any time of year! I printed mine at 100%, but because printers vary, sizes may vary, so I'm not including an answer key. 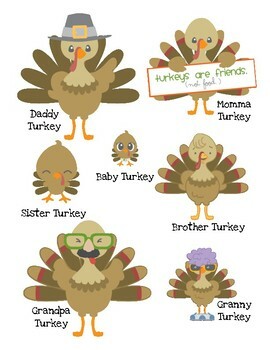 If you like the turkeys, please check out Dorky Doodles TPT store to download the images for your own use!